Hello, everyone. I think this going to be my first review in 2017, I guess? I haven't got the time trying the new thing until I bought this new product. The reason why I bought this is because my 'blackhead product' which is Vietnam Mask has finished a month ago and I really really need to find a new product so that I have a clear smooth skin, especially around my nose area. Having a rough skin full of blackheads and whiteheads around my nose area will make my makeup look cakey, thick and uneven and I really really hate it. 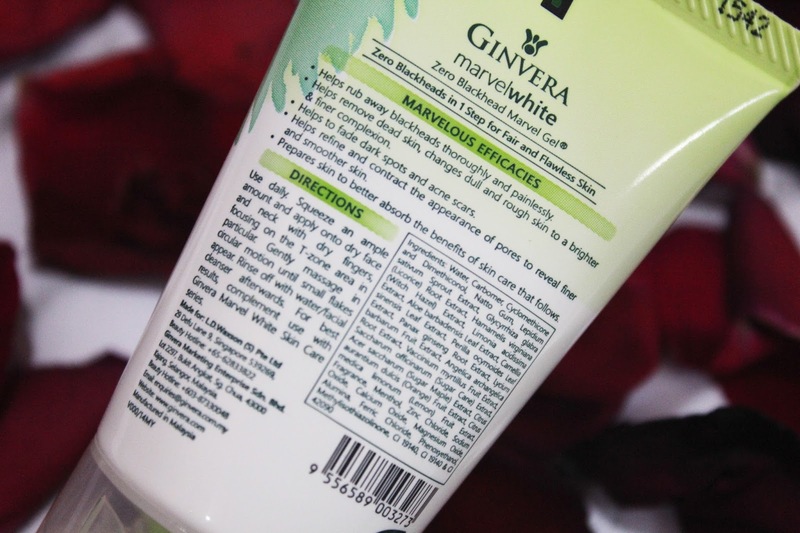 The product that I will be reviewing is Ginvera Marvel White. I bought it on last January at the Guardian. Instead of buying the normal size, I decided to buy the small size and give it a try first. Is it works? Let's find it out! Helps rub away blackhead thoroughly and painlessly. 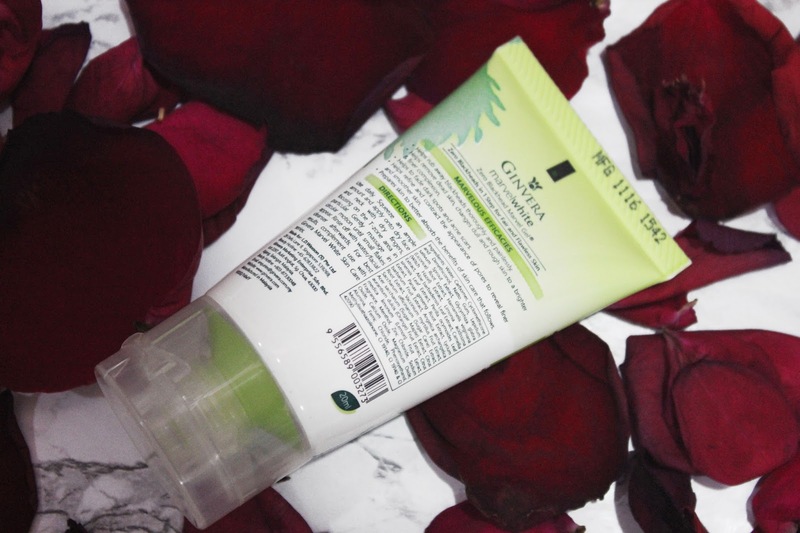 Helps remove dead skin, changes the dull and rough skin to a brighter & finer complexion. Helps to fade dark spots and acne scars. Helps refine and contract the appearance of pores to reveal finer and smoother skin. 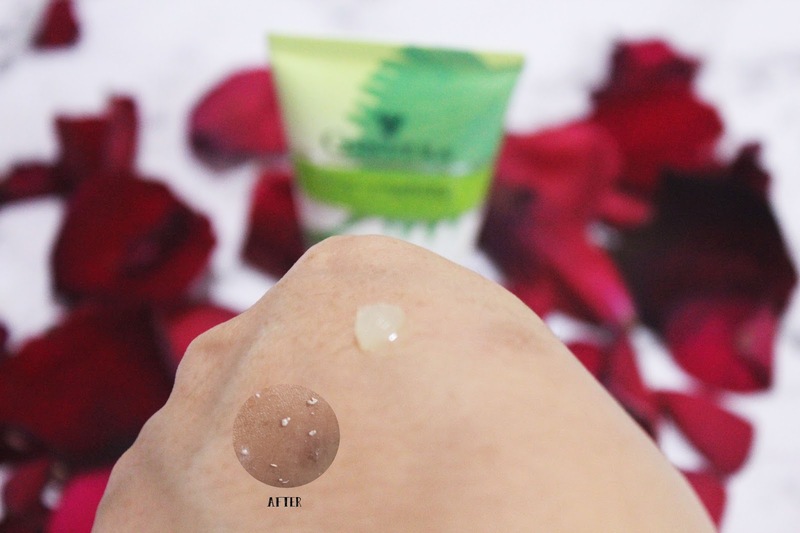 Prepares skin to better absorb the benefits of skincare that follows. Use daily. Squeeze an ample amount and apply onto dry face and neck with dry fingers, focusing on the T-zone area in particular. Gently massage in circular motion until small flakes appear. Rinse off with water/facial cleanser afterward. 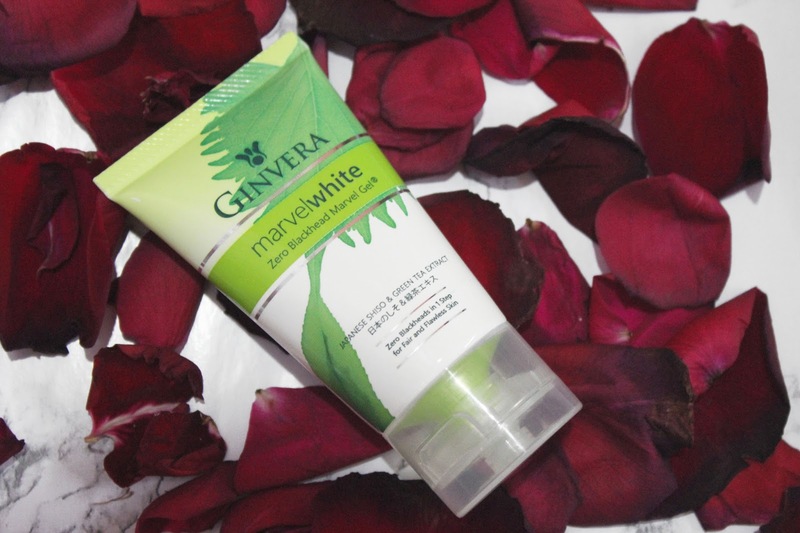 For best results, complement use with Ginvera Marvel White Skin Care Series. Actually, I have tried it once before from my cousin just because I want to try it out by myself. I can say that it works every time I used it. It became a daily routine for me to use it before I wash my face at night. The texture of the product is gel and watery. The scent is quite nice and refreshing, and somehow it feels so clean? Not to mention, it is easy to use. I really love it by how each time I using it, it still works the same. To see all the junks out from your skin is the best thing ever. I noticed that after using it my skin became smooth. 10 points for not taken too much time like the other products would do. One step, you're good to go! But, I do think that this product only works on your outer skin, not inside because I can still see my blackheads on my pores. That is the only cons that I have with this product. Overall, it is a good product to try. As you can see from the picture above, that is the result after using it. I used my hand as an example. Just pretend like I did it on my nose, okay? I guess that's all I have for today's review. Thank you for reading! Have a nice weekend, everyone! it is good to try a new product! i will keep an eye to this product !